Last week, I was at a meeting of people in Grand Rapids who are working on changing the federal immigration policy, to make it less punitive and more just. At this meeting it was mentioned by several people in the room that Immigration Customs Enforcement (ICE) officials had arrested people they knew and were detaining them in Battle Creek. 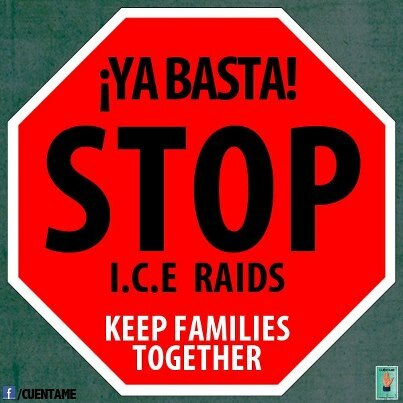 Last Friday, the local news media ran stories about the ICE arrests, each of which mentioned that 97 arrests had been made, with the majority of those arrested identified as either Mexican or Guatemalan. The MLive story only provides some particulars on the arrests made in West Michigan, with two specific cases. The only source cited in this story was an ICE official based in Detroit. The story reads almost like a Press Release and that’s because the MLive story is pretty much a re-printing of the Press Release from ICE, including the comment from the ICE official. The MLive reporter could have at least informed their readers that the article was nothing more than a re-printing of the government news release. It’s bad enough that the reporter didn’t actually practice any journalism in this case, they didn’t even question the claims made by ICE or seek out other sources of information in the community that might know something about these cases. I spoke with immigration attorney Richard Kessler who said that some of the individuals arrested, were from charges that were 20 years old, while others were from simple drivers license violations. Such charges are in stark contrast to what those highlighted in the ICE Press Release and the MLive article. Jeff once again gracias for telling it like it is. Not only was the article a reprint of the ICE press release it completely ignored the most significant and newsworthy aspect of the operation that of the devastating effect on hundreds of families and the fear it creates in the immigrant community. The most suspicious activity was that of the Ice agents spreading terror to show their numbers of arrested. The article was simply ICE’s justification for its bloated budget used to spread havoc in hundreds of communities. The last line a quote from Detroit Icewoman Rebecca Adducci was the worst self serving hypocrisy that we are much safer after these arrests . Thanks for your comments Rick, they underscore the absurdity of the MLive excuse for journalism. Thank You for posting the truth!